Quarterbacks Tom Brady of the Patriots and Jared Goff of the Rams are the big favorites on the odds to come away with the Super Bowl MVP award at sportsbooks. By winning the MVP trophy at the end of Super Bowl LII, Nick Foles became the seventh quarterback to claim the trophy over the last nine Super Bowls. As the quarterbacks of their respective teams, Tom Brady and Jared Goff are the clear favorites to win this year’s MVP award on the Super Bowl prop bets. Tom Brady leads all hopefuls as a +110 favorite on the Super Bowl MVP odds at sportsbooks monitored by OddsShark.com. 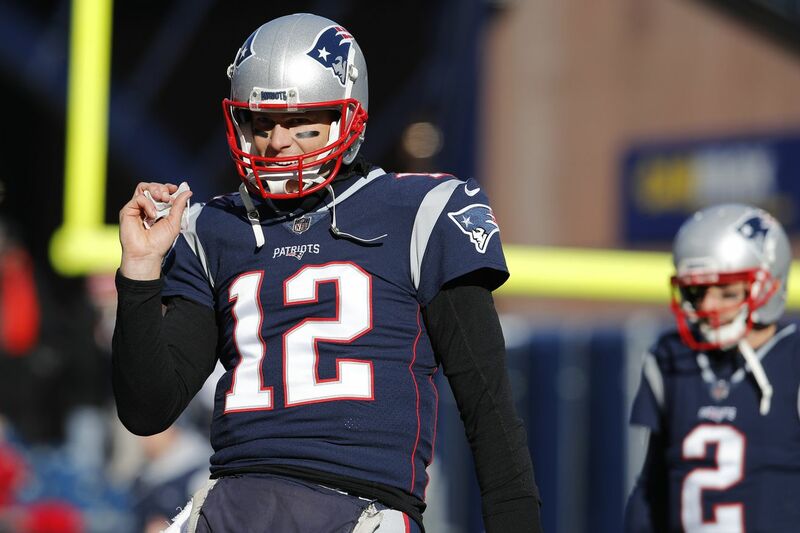 Brady has passed for over 340 yards in each of New England’s first two playoff games and has led his offense to a clip of 39 points per game over that stretch. In New England’s five Super Bowl wins with Brady under center, the veteran quarterback has won the award four times. The only time that Brady led his team to a Super Bowl win but did not earn the MVP award was in 2005 when wide receiver Deion Branch won it. Wide receivers have won each of the last three MVP awards given to an offensive player besides the quarterback. Julian Edelman (+2500) and Rob Gronkowski (+3300) will try to follow in Branch’s footsteps as Brady’s top targets. Jared Goff is going off at +225 to win Super Bowl MVP. Interestingly, the 24-year-old has passed for one touchdown or fewer in six of Los Angeles’ last seven games. Whereas Brady will be a huge favorite to win MVP if New England wins, one of Goff’s teammates might earn the honors and offer a nice payout if the Rams – underdogs on the Super Bowl odds – win. One of Todd Gurley (+1100) or C.J. Anderson (+2500) could become the first running back since Terrell Davis in 1998 to win the Super Bowl MVP award with a big day. But two of the last five Super Bowl MVPs have been defensive players, and Aaron Donald (+1800) could join that group with a strong performance and a signature play or two. Other potential Super Bowl MVP contenders include Sony Michel (+1500), James White (+2000), Brandin Cooks (+4000) and Robert Woods (+5000).